All of Cate's problems are in her head. That may be her greatest strength. Cate Duncan is a promising young therapist, dedicated to her work. But after her mother's suicide, she is seized by a paralyzing depression. To save her job, Cate agrees to enter a program with Dr. Angeline MacGregor, run by her stern son, Ben, and housed in a repurposed church. Cate doesn't quite understand what the program entails, but she soon learns that the skills she will develop there may not only help her learn how to cope with her own problems, but will also lead her to a much greater purpose. The MacGregor Group is a collection of alternative healers whose unconventional approaches include crystals, aura reading, and psychics. They know that their life's work invites skepticism, and welcome the chance to prove naysayers wrong. But they need the unique abilities that Cate can bring, and as she slides ever closer to her own abyss, they will do everything in their power to protect Cate from those who wish her harm--including herself. 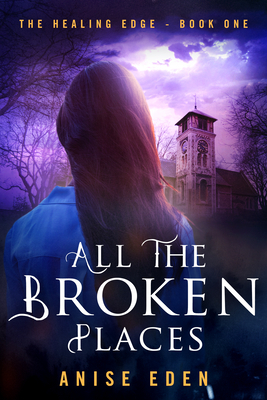 "ALL THE BROKEN PLACES is not simply an engaging paranormal romance. Peopled with broken characters the reader wants to see mended, it tackles the subjects of mental health and suicide with empathy and grace." --Rosanna Leo, author of VICE.